Published Feb. 26, 2018 at 9:03 a.m.
Peep this, Milwaukee. 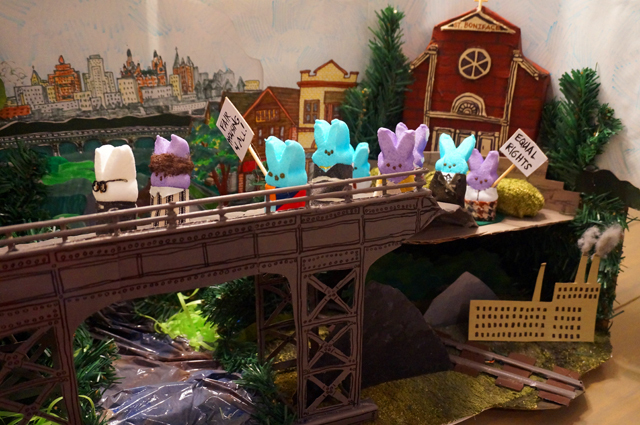 Historic Milwaukee Inc. is hosting its third annual Peep Diorama Contest and has asked me to be a judge! 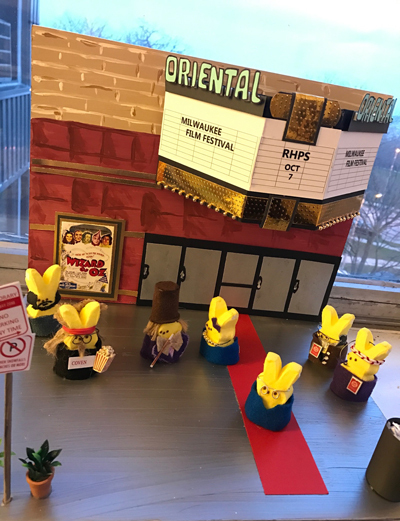 The competition, which takes place from March 12 until April 6, invites contestants to create a shoebox-sized diorama of some part of Milwaukee's built environment and history, using those colorful, squishy little Easter treats as characters. So, think a pink chickadee Solomon Juneau canoeing through wild rice in the Menomonee valley or perhaps a sprayed yellow Increase Lapham surveying Kilbourntown. Maybe a pink Henry Koch observing the construction of his shoebox-sized City Hall. Or maybe something a tad more obvious, like a Peeps Oriental, Usinger's or Summerfest (though those have been done already). You must submit photos of your entry by March 12, and then HMI Executive Director Stacy Swadish and I eat, I mean rate, your Peeps dioramas. Afterward, some of the best, most interesting entries will be on public display in the HMI office/store at 235 E. Michigan St. for the public to vote on. Then, on April 6, winners will be announced. Create a scene referencing Milwaukee's built environment and rich history. Get creative! 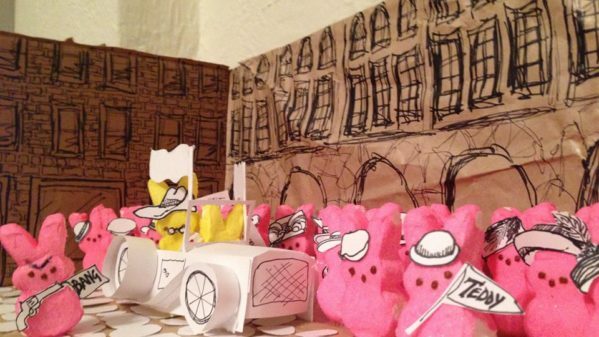 The attempted assassination of Teddy "Peeps" Roosevelt. Everyone who enters will receive a Historic Milwaukee baseball cap. And there will be prizes, like HANmade Milwaukee Lakefront jigsaw puzzles or $25 gift certificates to HMI Store for first prize in the kids 12 and under and teens categories, and gift certificates to the shop for adult winners ($100 for first prize; $50 for second; and $25 for third).